The CMM oil plant is designed for removal of solids and moisture from dielectric insulating oil with viscosity of no more than 70 cSt at 50ºC/122ºF. The plant offers purification on class 9 from initial purity class 13 (contaminant content below 0.004%) in multiple passes of the product through the filter section. The plant is used for installation, repair and operation of oil filled high voltage equipment (power transformers, high voltage switches etc). 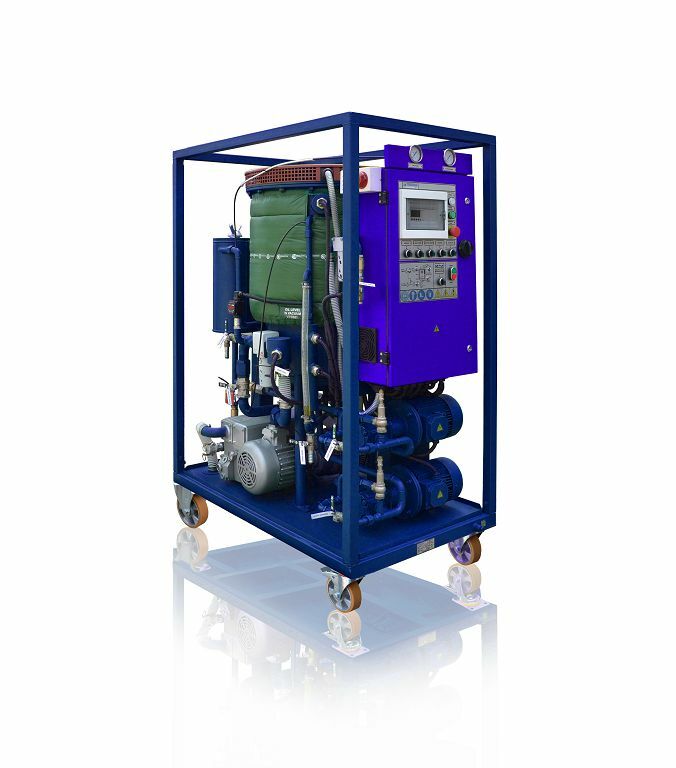 CMM-1.0 unit is assembled on a frame, supporting the unit’s components: input and output oil pumps, dielectric control cabinet, vacuum chamber, coarse and fine cartridge filters, vacuum pump and pipelines with valves.